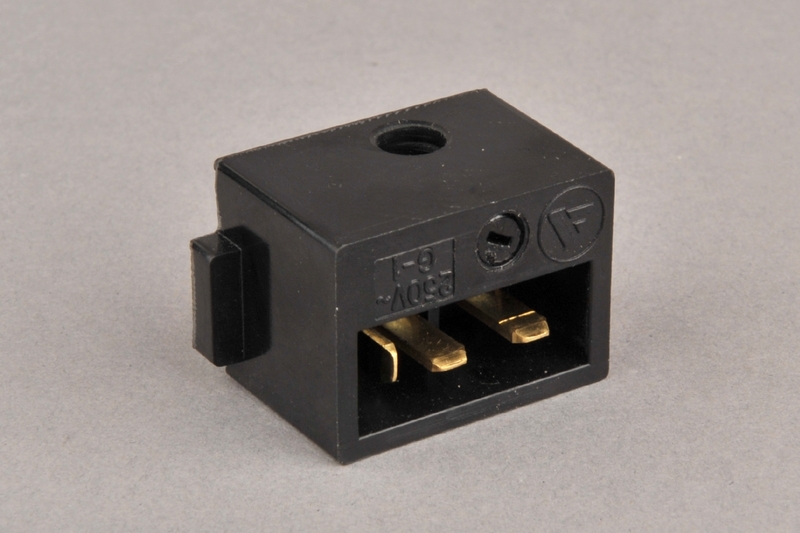 I found that socket on a music device produced around mid 1970s in GDR and I was wondering what kind of socket it is. Unfortunately, someone painted the whole device, including the contacts. 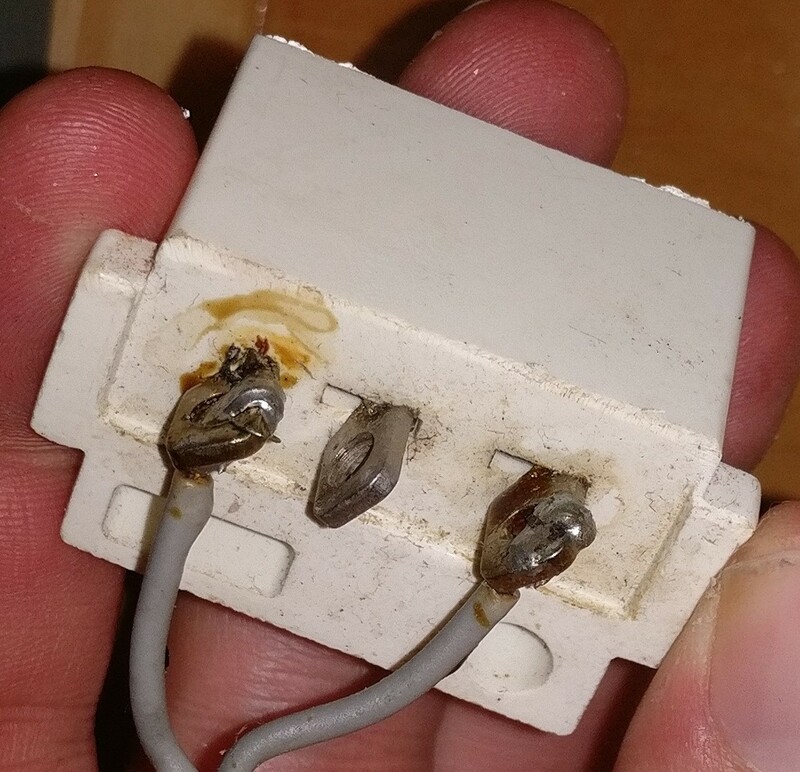 Therefore, I plan to replace the socket with an IEC-320-C14. The device is a so-called "Kofferharmonium" (kind of a very big harmonica) manufactured by "VEB Klingenthaler Harmonikawerke". This page has some more information on it. The third picture shows the electrical internals of the device. My machine has no switch or regulator, but the motor is directly connected to the socket. There is no schematic or any other hint on / inside the device. This is KN-4A socket. 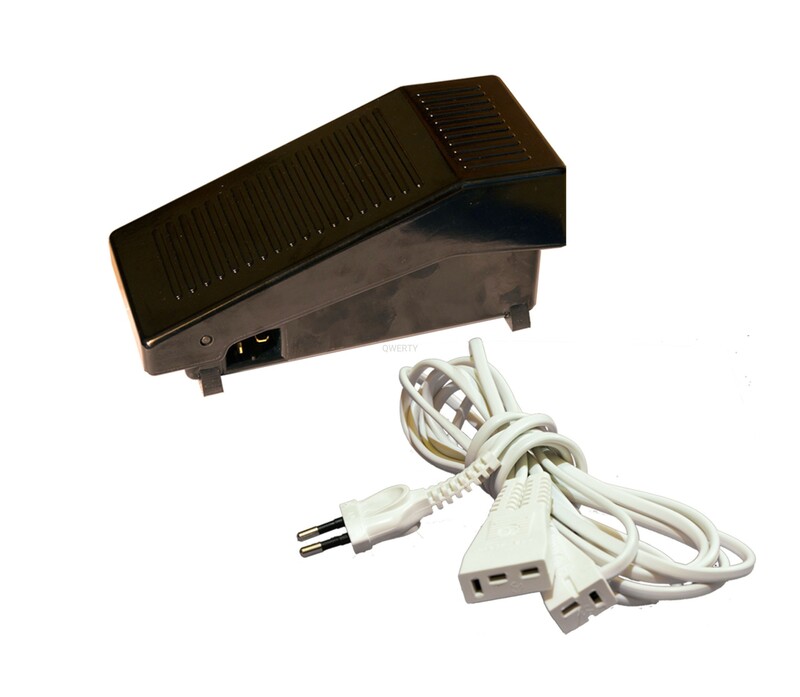 Widely used in Eastern bloc countries in many types of electric equipment with a motor, mostly in sewing machines. Pedal controls the speed of the motor, inside of pedal there are switch, capacitor and potentiometer. Or sometimes a rheostat. Or sometimes even a couple of switches and resistors - the more You push the pedal, more resistors are just shorted and motor speed increase. Pedal is connected in series with one of the motor windings. Motor is single phase induction type. Buying sockets and cords is not a problem, they're still in production because many people still use these (not so) old but very good sewing machines. The best solution - find the original pedal. Or find the parameters of original pedal and choose a similar sewing machine pedal. Not the answer you're looking for? Browse other questions tagged identification socket or ask your own question. What kind of JTAG connector is this? How would a chip socket affect the chip? 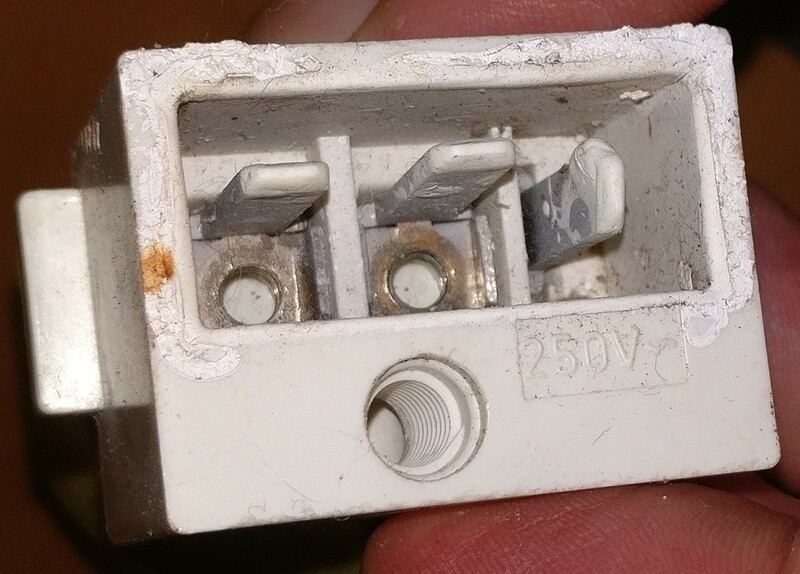 How Does an Unearthed Socket Close its Circuit? 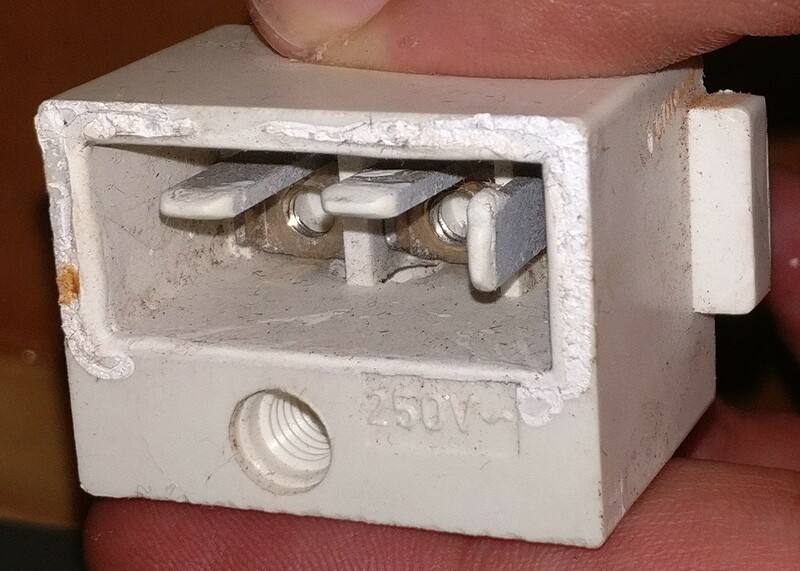 What kind component is this? What kind of electronic component is that? A lightbulb?